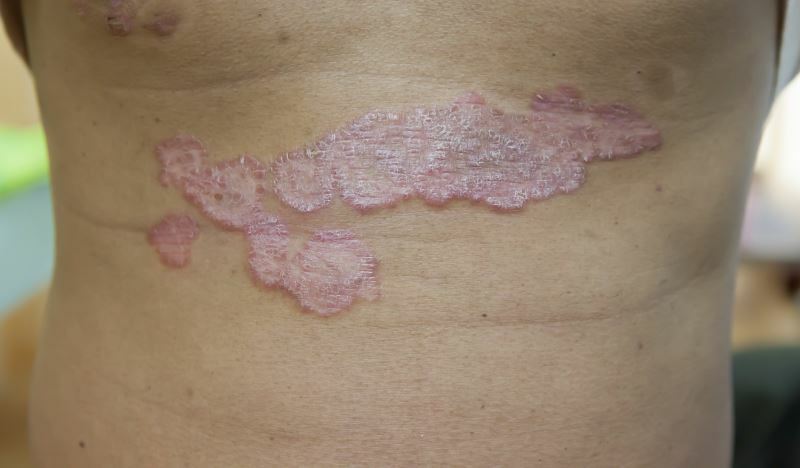 Patients with moderate to severe plaque psoriasis from 2 replicate, phase 3, randomized, double-blind, placebo-controlled, and active comparator-controlled trials were included in the analysis. 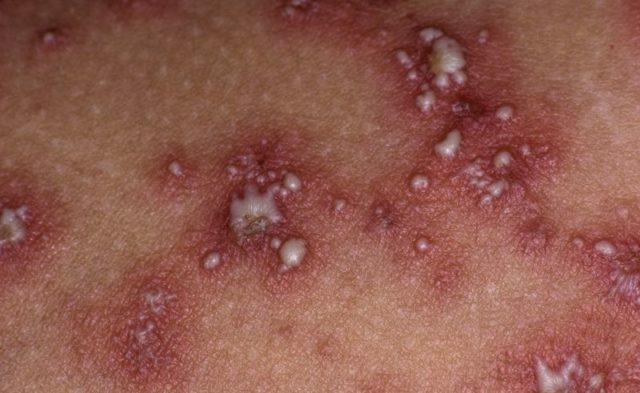 Risankizumab may be a superior treatment option for patients with moderate to severe plaque psoriasis, according to a study published in The Lancet. Two replicate, phase 3, randomized, double-blind, placebo-controlled, and active comparator-controlled trials that included patients with moderate to severe plaque psoriasis were performed at 139 sites around the world. In the first trial, researchers randomly assigned participants into 3 groups: 150 mg risankizumab (n=304), 45 mg or 90 mg ustekinumab (n=100), or placebo (n=102). In the second trial, researchers also randomly assigned participants into 3 groups: 150 mg risankizumab (n=294), 45 mg or 90 mg ustekinumab (n=99), or placebo (n=98). Sixteen weeks into the first trial, a Psoriasis Area Severity Index of 90% improvement was achieved by 75.3% of individuals receiving risankizumab, 4.9% receiving placebo, and 42% receiving ustekinumab. 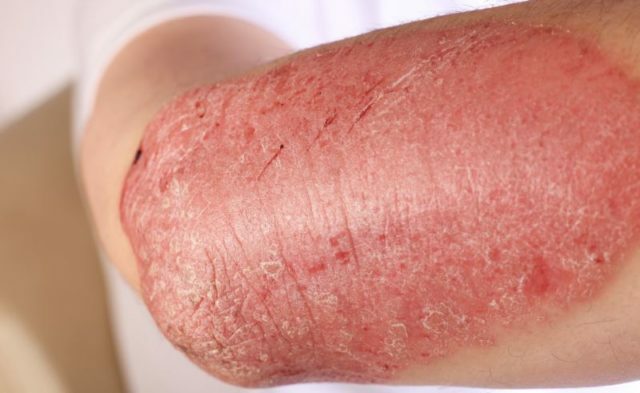 At the same timepoint in the second trial, a Psoriasis Area Severity Index of 90% improvement was achieved in 74.8% of participants receiving risankizumab, 2% receiving placebo, and 47.5% receiving ustekinumab. Physician’s Global Assessment 0 or 1 was achieved at week 16 by 87.8% of participants receiving risankizumab, 78% receiving placebo, and 63% receiving ustekinumab in the first trial, while 83.7% of individuals receiving risankizumab, 5.1% receiving placebo, and 61.6% receiving ustekinumab achieved Physician’s Global Assessment 0 or 1 at week 16 in the second trial. Adverse events were similar across both trials. Multiple authors declare receiving grant support or having close affiliations with trial sponsors and drug companies. Please refer to the reference for a complete list of authors’ disclosures. Gordon KB, Strober B, Lebwohl, et al. Efficacy and safety of risankizumab in moderate-to-severe plaque psoriasis (UltIMMa-1 and UltIMMa-2): results from two double-blind, randomised, placebo-controlled and ustekinumab-controlled phase 3 trials. Lancet. 2018; 392:650-651. doi: 10.1016/S0140-6736(18)31713-6.